EDC Consulting is an Oracle certified partner that provides end-to-end implementation and post implementation support services for a wide range of Oracle solutions and technologies. We work closely with large systems integrators and with the Oracle Corporation and have developed strong, mutually beneficial working relationships over the last 10 years where EDC has served as trusted teammate and subcontractor to Oracle and, in turn, Oracle has served as a valued teammate and subcontractor to EDC. With deep insights, proven experience and delivery capabilities led by a team of highly skilled Oracle professionals, EDC Consulting is uniquely qualified to provide strategy, implementation, upgrade and application outsourcing solutions across the entire suite of Oracle products. This suite includes the Oracle E-Business Suite, PeopleSoft, Siebel and Oracle technology and middleware. We also bring innovative methodologies, tools and accelerators that enable rapid implementation of quality solutions that are sustainable, affordable and predictable, while mitigating risk. With many successful Oracle implementations in the Department of Defense, civilian Federal agencies, state and local government and in the private sector, we are proud to have led the largest HR implementation in the world for the U.S. Army having implementing PeopleSoft to a user community of over one million users. EDC is also supporting the largest Oracle Federal Financials implementation in the Department of Defense. Our successful implementations of the entire Oracle suite of products and our many years of in-depth experience allow us to deliver the technical expertise, knowledge, experience, and lessons learned that our clients need to achieve success. We have worked directly for the Oracle Corporation on a wide range of innovative business initiatives in diverse areas. EDC’s deep Oracle expertise and experience is driving value for our clients across industries and geographies, solving complex business problems and challenges. As a certified Oracle partner for over 10 years, EDC Consulting has built a reputation for delivering large-scale Oracle software and technology solutions on time, on budget and with the desired results. 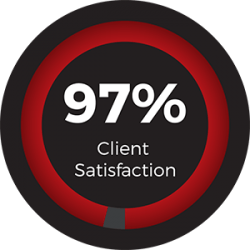 In 2014, EDC received a 97% satisfaction rating from its clients which is a testament to the experienced, innovative and accomplished Oracle professionals that make up EDC’s Oracle practice. 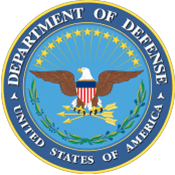 DAI is a DOD enterprise-wide implementation of Oracle Financials (12.2) to over 30 agencies within the Department of Defense. DAI will transform the budget, finance, and accounting operations of most Defense Agencies to achieve accurate and reliable financial information in support of financial accountability and effective and efficient decision-making to support of the missions of the warfighter. The program’s objective is to achieve auditable Chief Financial Officer compliant business environments with accurate, timely, authoritative financial data. DAI is a web-based system based on the Oracle E-Business Suite (EBS), and hosted in Government facilities in the Defense Information Systems Agency (DISA) Standard Operating Environment. In supporting the DAI program, EDC has been tasked with providing support to a critical DOD effort with the mission to modernize the Defense Agencies’ financial management capabilities. EDC was tasked to support the DAI program’s objective to achieve an auditable Chief Financial Officer (CFO) compliant business environment with accurate, timely, authoritative financial data. EDC is working in partnership with the government to deploy a standardized system solution to improve overall financial management and comply with the Department’s Business Enterprise Architecture (BEA) and Office of Federal Financial Management (OFFM) requirements. EDC is implementing compliant business standards and common business processes by providing enterprise business functions within budget execution, including Procure to Pay (P2P), Order to Fulfill (OTF), Acquire to Retire (A2R), Budget to Report (B2R), Cost Accounting (CA), and Time and Attendance process areas. In addition to serving as the DAI Deployment Lead, EDC is also managing software instances in support of program operations and development. Responsibilities include data migration, maintaining uptime service levels; conducting backup, recovery, refresh and security activities; and providing Level II and III Help Desk support to resolve software product issues by identifying defects, bugs, and other errors. As the prime contractor for the Army’s PEO EIS Integrated Personnel and Pay System (IPPS-A), EDC successfully completed the development, integration and implementation of the system’s Increment I capability using PeopleSoft 9.1 and Oracle 11g database Commercial-Off-The-Shelf (COTS) human capital management products. The capability is now live and allowing approximately 1.2 million soldiers the ability to access their records using the largest HR database in the world, online and in one single place, instead of across a myriad of legacy systems. In addition to performing software configuration, development, and testing activities, EDC designed and built the data interfaces between 17 legacy systems. A key task as part of this activity is analyzing the current legacy system data to ensure data quality and consistency. EDC built and currently maintains a three-environment infrastructure, using key components of Oracle’s Fusion Middleware (FMW), Oracle’s Business Intelligence Enterprise Edition (OBIEE), Oracle Data Integrator (ODI), WebCenter Portal and Content Management, Records Management, Secure Enterprise Search, Identity Management and Single Sign-on as a prime contractor for the Bureau of Alcohol, Tobacco and Firearms (ATF). We have developed an architecture roadmap for the ATF for their Oracle Fusion Middleware strategy and have defined a path for several enterprise-wide capabilities like reporting, identity management, content management etc. Over the last three years we have executed this strategy and have successfully developed and implemented a reporting capability, as well as a centralized identity management framework. 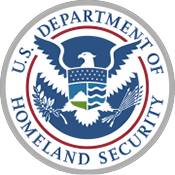 EDC Consulting is a prime contract holder with the U.S. Department of Transportation (DOT) Pipeline and Hazardous Materials Safety Administration (PHMSA). DOT awarded a Blanket Purchase Agreement (BPA) to EDC to provide Oracle systems engineering and data modeling support services. We have won several task orders under this BPA and are currently developing a new Work Management System for PHMSAs investigators and engineers, based on Oracle products and tools. EDC supported The World Bank in Washington, DC and Bucharest, Romania and provided in-depth systems and security analysis of their Oracle financial systems that resulted in the identification of numerous vulnerabilities. In support of The World Bank’s compliance requirements, EDC helped to implement Oracle’s Fusion Governance, Risk, and Compliance (GRC) solution, a component of the Oracle Fusion Applications suite. EDC developed a unified intelligence dashboard that provided insight into the status of all GRC activities across The World Bank’s International Finance Corporation (IFC) enterprise. EDC personnel served in key roles to strengthen oversight and crisis preparedness that resulted in the safeguarding of financial market integrity and supporting the sustainable development of the World Bank’s banking systems. EDC provided the functionality and configuration of their existing Oracle Enterprise Portal and gathered requirements from FTC personnel to determine current and future needs of the Portal. EDC conducted the migration of the CIS to the Oracle Portal and developed and implemented a migration plan. The migration occurred in various phases. FTC had customized the Oracle Portal. These customizations were modified for configured for use by numerous teams requiring different business processes. EDC implemented Oracle 9iAS and Portal 9.2. The Oracle Portal was integrated with PL/SQL applications and external J2EE applications. Working directly for the USACE CIO, EDC Consulting used Oracle software as the foundation of the USACE’s Enterprise Data Warehouse and the Integrated Data Management Initiative (IDMI), an enterprise-wide data integration initiative. EDC led the design of an integrated architecture plan that was accepted as the next logical step in the evolution of USACE’s information architecture– to design and build an accurate and manageable information store that can be better used as a resource for decision support, reporting, information exchange, and analysis than the existing landscape. EDC conducted in-depth planning and preparation to fully understand the various initiatives within the Corps of Engineers and the challenges associated with data integration and multiple stove piped organizations. This initiative will serve the Corps of Engineers for years to come. Working as a subcontractor to the Lockheed Martin Corporation, EDC personnel were responsible for the design, implementation, maintenance, and repair of Oracle databases for a complex, enterprise-level development program. EDC provided support to both production and non-production environments to ensure availability, performance and security. Responsibilities included monitoring and improving database performance and capacity, backup and data recovery, planning for future updates as well as upgrades and expansion. The Washington Post has been using PeopleSoft software to support their Human Resources Management System (HRMS). EDC Consulting helped The Washington Post manage their HR functional processes and support HR functional areas which enabled system-wide human resources and payroll professionals to manage all personnel data and actions such as appointment position and funding management, hiring, promotion and terminations, changes to employees’ personal information, salary increases, and payroll production. EDC Consulting provided the Washington Post with a secure and integrated HRMS that provided increased tracking capabilities and real-time “on-demand” reporting. EDC Consulting provides on-going systems development and functional process support to The Washington Post.